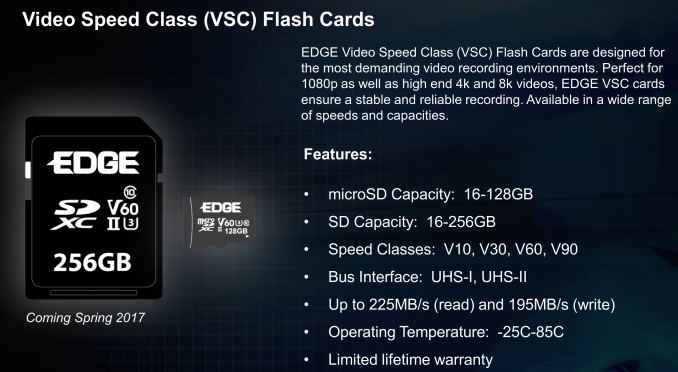 The most interesting of all the new products are the VSC SD cards (Video Speed Class). 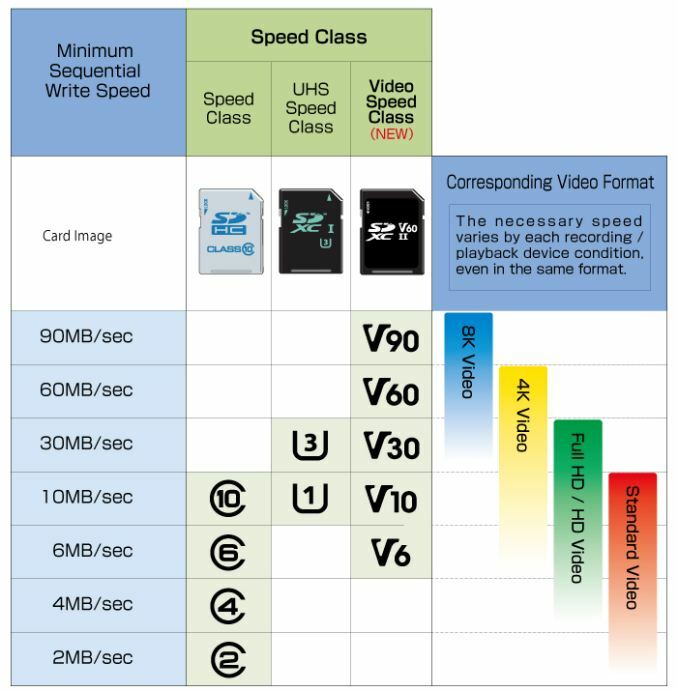 While the SD Association recently announced the A1 application-performance class for use in general computing environments, the Video Speed Class rating is meant for cards used in video recording environments – including, but not restricted to, products like action cameras, dashcams, IP cameras, and the like. The key here is that the card must be able to guarantee a minimum sustained write speed to qualify for one of the VSC classes. In Spring 2017, Edge Memory plans to launch a suite of SDXC (16-256 GB) and micro-SDXC (16 – 128 GB) cards with operating temperature range between -25C and 85C. This makes them suitable for industrial use-cases also. Edge Memory also announced a number of other products – a bus-powered USB 3.0 enclosure for M.2 SATA SSDs (using ASMedia ASM1153E for the micro-B version, and the ASM1351/1542 for the Type-C version), a USB OTG-compatible flash drive with both Type-C and Type-A interfaces, and new members in the diskGO Secure Ultra USB Storage lineup which has a keypad / physical PIN support to enable hardware encryption of the contents. SOURCE: AnandTech – Read entire story here.